There are lots of times when you need a gentle or mild abrasive cleaner, like Soft Scrub, to clean something in your home. You don't have to buy a commercial cleaning product though, unless you want to. 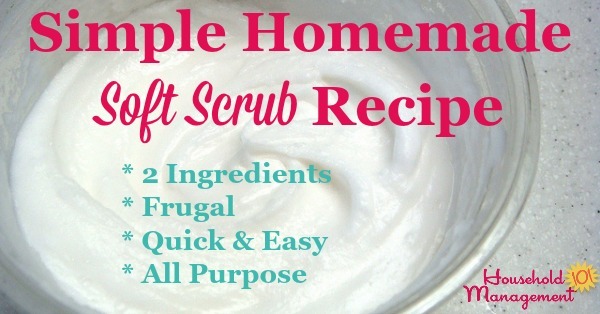 Here is a recipe for a homemade version of soft scrub to use in your home. 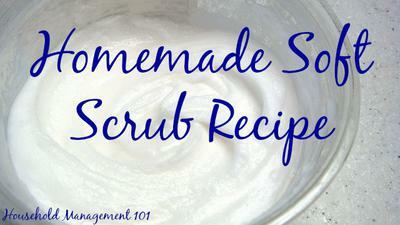 Combine 1/4 cup of baking soda with enough dishwashing liquid to make a paste that resembles frosting. If you want to be really eco-friendly I suggest using castile soap or at least a natural dish soap. 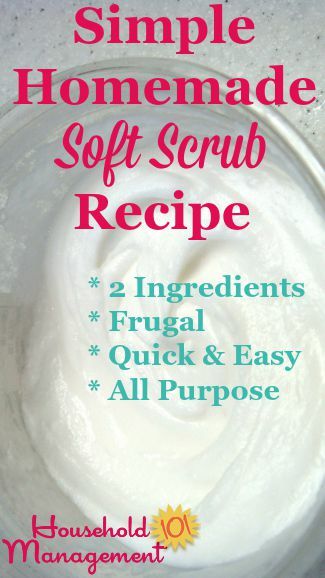 Apply a small amount of the homemade soft scrub to anything that needs to be cleaned with a mild abrasive cleaner, using a sponge or cleaning rag. Give it some elbow grease and watch the dirt and stains disappear. Rinse off when finished cleaning using a clean sponge or rag and clean water. So, do you have any homemade cleaners you use? Tell me the recipe!